Joel Wit, 38 North co-founder and senior fellow at the US-Korea Institute at SAIS, discusses “Freezing North Korea’s Nuclear Program” at the Institute for Corean-American Studies (ICAS) Spring Symposium. The discussion, “Humanity, Liberty, Peace and Security: The Korean Peninsula Issues and US National Security,” took place on May 17, 2016. In the videos below, he offers a comprehensive explanation of five myths regarding US policy toward North Korea, the reality of unification through regime change and thinking ahead on US policy. He also fields pointed questions from fellow ICAS panelists, referencing his experience at the US Department of State to discuss previous US policy toward North Korea. In his concluding remarks, he outlines offering a path forward for freezing North Korea’s nuclear program through negotiations with the Kim Jong Un regime. Opening the discussion, Joel Wit introduces the five myths regarding US misconceptions of North Korea and its leadership, and diplomatic solutions involving the US, North Korea and China. For an expanded analysis, see “It’s Not a Hermit Kingdom, and 4 Other Myths About North Korea” in The Atlantic. Although the idea of reunification through regime change is presented as straightforward, there are other significant factors that must be taken into consideration. According to Joel Wit, these factors include an evaluation of how North Korean citizens view their own government, how a prolonged insurgency would impact South Korea, and the way North Korea would use their stockpiles of weapons of mass destruction in the event of an insurgency. 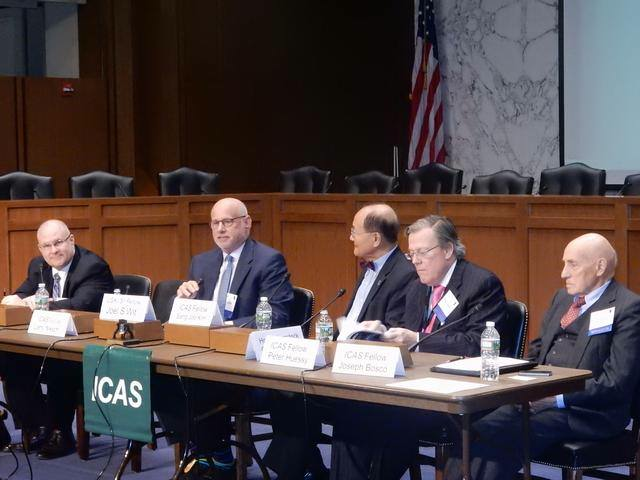 Joel Wit and fellow ICAS panelists discuss the outcome of a North Korean regime collapse, a military offensive against North Korea, China’s role in global diplomacy and North Korea’s strategic objectives. Closing the conference, Joel Wit and fellow panelists discuss theoretical bilateral peace negotiations between the US and North Korea and how to address anticipated dissatisfaction in South Korea, in addition to how the US would negotiate on the issue of US troops in a peace treaty negotiation.